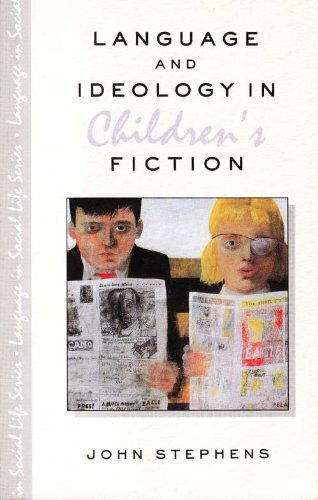 Science Fiction, Children's Literature And Popular Culture proves a college-level cross-section analysis of representative works of science fiction, children's literature and popular culture to examine depictions of coming of age in the modern world. From picture and comic books which appeal to the young to films, videos, and popular novels and writings, this covers everything from juvenile series fiction's changing presentations to multimedia presentations. An outstanding anthology of informative essays. 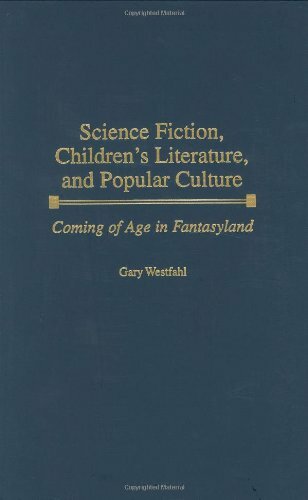 Westfahl's essays in Science Fiction, Children's Literature And Popular Culture, range widely over American children's and YA popularentertainment, starting with a little known children's series but coveringSuperman, Horatio Algier and the Hardy boys, SF film (esp. the fifties)Star Trek and even music video in the context of film and advertising.Westfahl, a well known SF critic, allows himself more free-play in theseessays. His playfulness gives rise to many intriguing speculations,connecting popular culture phenomena in convincing but previouslyunarticulated ways. I greatly enjoyed each of the essays, even thefirst one about a now-obscure children's series that features a too good tobe true boy called Charlie ("How Topsy Made Charlie Love Him,"from the Better Homes and Gardens Story Book), which he analyzes from adevelopmental and a feminist perspective.The chapter "Giving HoratioAlger Goosebumps," supplements the Sands and Frank book referencedabove with critical perspectives on both production and marketing andsocial contexts for YA series fiction. "Opposing War, Exploiting War:The Troubled Pacifism of Star Trek," should be read alongsideBartter's essay in Sullivan's collection, listed below. "Legends ofthe Fall: Going Not particularly Far Behind the Music," offer basicanalyses ofMTV and VH1 stories of rock star legends, asking basicquestions about their accuracy and comparing different 'kinds' of storiestold about these famous people.My favorite essay is "Even betterthan the Real Thing: Advertising, Music Videos, Postmodernism and(Eventually) Science Fiction. "In this essay, he describes for us thesimilarities in the stories told within advertising on the media. Media-based advertising for products tells stories within which theproducts are set, just like music videos which are used to promote artistsand to promote music sales, and film trailers use some of the sametechniques to summarize or condense the film, telling a story about it thatmay or may not be true. Westfahlmakes a convincing argument for theirinter-related development (similar to the critical argument made by Palumboon comic books in the Sullivan collection) and this is only one of severalinsights provoked by this essay.As Westfahl's fifth through eleventhchapters emphasize, there are many more intersections between media whichcan be productively explored, from the realization of written as film tothe expansion of television SF through written series fiction.More thanany other sub genre, SF has adapted itself to the new media and made theman intimate link in the definition of the genre.The links between fictionand other popular culture phenomena are pervasive, fascinating, and in needof further attention.Thus, in addition to addressing age-baseddemarcations of SF, the critical works address defining moments in thehistory of SF are we know understand it's ability to expand and adapt tochanging tastes, habits, and indeed needs, of its audience. Westfahldoes not attempt a summary chapter, but ends with an analysis of The TimeMachine and its many permutations in cinematic productions, giving us, byexample, a socio-historical perspective on the film industry that alsoreflects on the history of science fiction.Since Wells' story is so tiedup with the history of SF as a genre and with all the media carrying the SFstory, including radio, television and film, the final essay does give ussome sort of summary in that it covers the earliest and the latest formsfor the story. 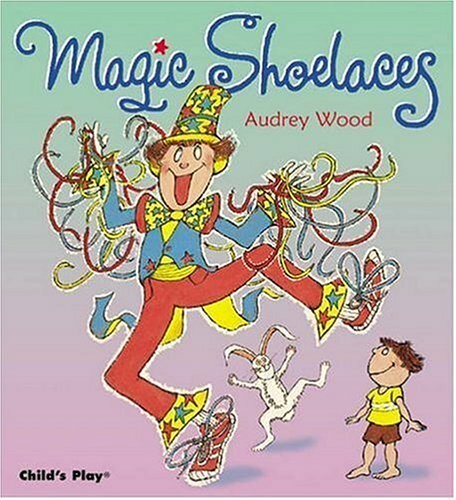 This is a good book by Audrey Wood.I don't think it is one of her best but it is a cute story. upon life as wider interests cursorily embraced." When the Armenians of Turkey are marched into the desert to die in 1915, Mariam is rescued by her Turkish friend Rustem, and lives with mixed acceptance as a guest in his father's harem. Kevork is shot and left for dead in a mass grave in the desert, but is rescued by nomadic Arabs and nurtured back to health. Both teens must choose between the security of an adopted home or the risk of death in search of family. I read this book for the Red Maple awards, and I thought it was amazing! It shows what exactly happened at that time and the children's lives at that time. I haden't read the hunger before but I could still follow! Great job! A superb read, and a tough, no nonsense look at the Armenian Genocide of the early twentieth century. Marsha Skrypuch helps us to remember the atrocities of the past, so that hopefully history will not be repeated. This book is a prequel, in a sense, to *The Hunger*. If you've read that, this is a must read. If you haven't read *The Hunger*, I suggest you do so now, and then read *Nobody's Child*. You won't be disappointed. Nobody's Child is a moving and compelling story that addresses serious issues with charm, power, and hope. 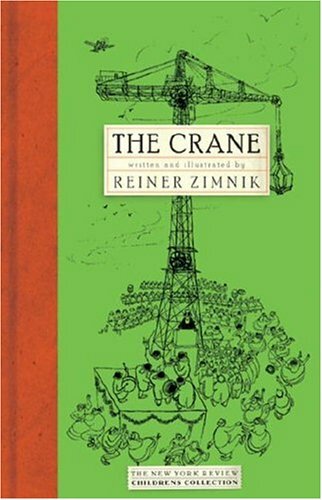 The book humanizes the tragedy of the Armenian genocide through its strong portrayal of young adults caught in the middle.The young characters in this book, through their determination, courage, and love for each other and their families provide a powerful illustration of the fortitude, compassion, the hopefulness, and the strength of young people even in the most difficult circumstances. 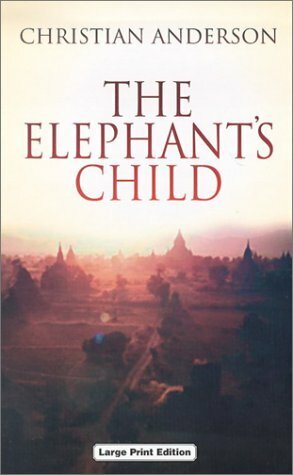 While not shying away from the vivid portrayal of events that were part of this terrible moment in history, the author skillfully manages make the portrayal not overwhelm the young reader. The reader has a foothold (the characters' stories and their immediate context) in the larger historical moment. Finally the author is careful to portray compassionate and decent Armenians AND Turks. The author expands the reader's understanding of different religious and cultural experiences, not simply painting "good guys" and "bad guys." The terrible thing is the genocide. Those who acted with compassion, integrity, and courage on both sides are celebrated. In the end, they are who we care about. They are who we learn from. 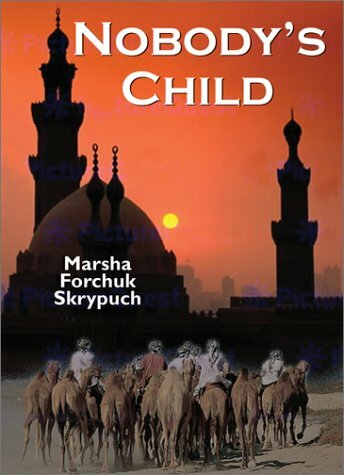 Yet again, Marsha Forchuk Skrypuch has created compelling fiction that addresses important issues, broadening the reader's understanding of the peoples of the world and their history. After reading Skrypuch's books, I believe that readers will take a personal interest in those peoples and their history. An excellent young adult novel with strong narrative qualities and sympathetic characters that the reader grows attached to.Historical information is almost seamlessly woven into the text.A map and glossary (for Turkish and Armenian terms)would have been welcome additions.Even so, a well-written and accessible book about a "holocaust"(Armenian genocide) that is little known to today's young people. History - Come to Life!! Marsha Skrypuch is an excellent writer with the ability to draw a reader in and share an immensely personal story with courage and power. Her writing is simple but evocative, and she tackles serious subjects with great honesty and tenderness. When a fisherman called Huw falls in love with a selkie — half-woman, half-seal — she gives him her sealskin as a sign of her love. She bears him two children, Ffion and Morlo, before returning to her own people. 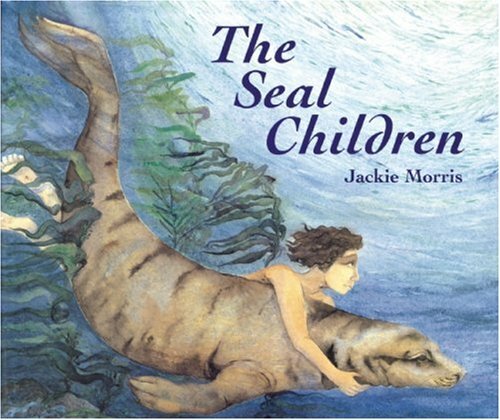 A few years later a stranger comes to the village, telling of a land far away, and Ffion and Morlo remember their mother's stories of the glittering cities underwater. Will they be able to find those places, and their mother? This lovely, lyrical story of love and freedom was inspired by Welsh myth and a real deserted village in west Wales. 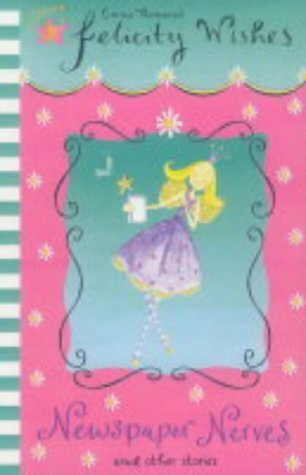 I bought this book for my daughter, and I know she is just going to love it. Jackie Morris's stunning illustrations really bring this tale to life. It's something a bit different from the usual fairytales. Lady Isabella Devereaux lived a comfortable life with her husband and children until the plague took all of that away from her. Unaffected by the devastating disease, Lady Isabella turned to the thankless job of helping the dying plague victims, since they benefited from her healing ways. One day her travels took her to another healer who offered her a book of secrets which included how to forge a very unusual amulet. The book and the amulet proved a dangerous combination. When Annie, a modern day girl falls through the boards of the excavation on which her father, an archaeologist, is working, Isabella's and Annie's life suddenly entwine. Annie is thrust into the world of the Middle Ages in an attempt to find the truth about Isabella's life. In this historical middle grade fantasy, the medieval part brings the reader deeply into a world where the Black Plague has cast its shadow on society and seeing the dead each day becomes a normal occurrence. Will Annie survive? Does she uncover the truth? Why has she suddenly time traveled to the Middle Ages? All of these questions are answered when you read The Heretic's Tomb by Simon Rose. Told in both Isabella's and Annie's points of view the story is an excellent depiction of medieval life and would be a great accompaniment for a unit on this period. 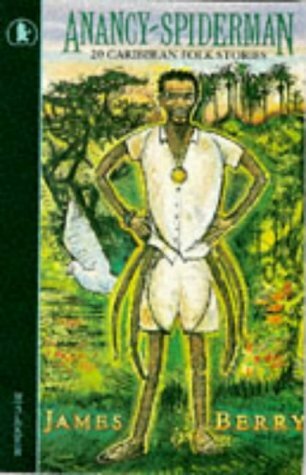 It brings to life the struggles of living in this time by showing the experiences of various groups of people and how they coped with destruction and despair. I recommend this book to anyone who would like to learn more about this tumultuous time and enjoys both fantasy and adventure. It's a quick and fun read. The Heretic's Tomb bridges the gap between the 14th century and current times as it takes the reader back in time to the Black Death or more commonly referred to as the plague. The first sentence puts the reader right in the middle of it. "Lady Isabella Devereaux watched black plumes of smoke rise from the nearby village of Thornbury. More bodies were being burned." The first half of the story sets the stage with suspicions of heresy against Lady Isabella who possess an amulet, believed to have magical powers. The amulet is coveted by Sir Roger de Walsingham, seasoned warrior for King Edward. Sir Roger has evil plans for the amulet and will do almost anything to possess it. The modern day protagonist, Annie, finds herself swept back into time when she falls down an old chimney shaft and finds a piece of metal with some of the same markings as the family heirloom around her neck. What happens next is astonishing. Filled with suspense and the ruthless harassment against Lady Isabella by Sir Roger, The Heretic's Tomb depicts the hardships that people faced during that time. Medical knowledge was at a minimum and skepticism of anything new permeated among rich and poor alike. A River Lost tells the familiar story of an ancientculture infringed upon and altered forever by modern technology. 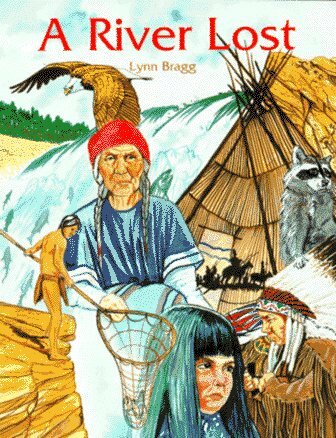 It is the story of how the construction of the Grand Coulee Damled to the destruction of a way of life for members of the ArrowLake Tribe. "Sinee mat" and her great-grandmother "Toopa" tell of the cultureand day-to-day activities of life on the Columbia River beforeand after the dam. Back in March I ran into this book during a children's and YA book sale. I won't lie, this book has the most beautiful cover art of any book I've ever seen, and that would be one hundred percent why I picked it up.Even the end pages were gorgeous! But then I picked it up and read the blurb, it was set in Venice!One of my dream European cities.Ok, so the premise sounded like it had promise too, but really, I might have bought it anyhow. Venice + Pretty book= sold. It's nice to have no real expectations about a book when you start.I've never seen this book in a bookstore before or since I picked up (i grabbed the only copy at chapters) and I've never heard of the author or seen a review for this or any of her other books.So it was a perfect clean slate. 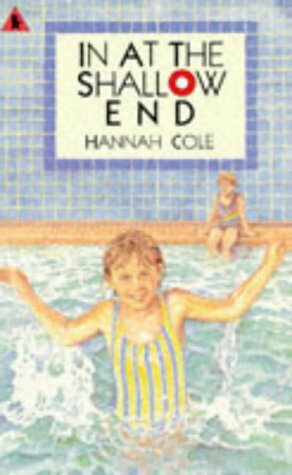 The first thing I noticed was what a distinctive and unusual voice it had.Set over a few short days in June of 1899, this book is written with a lovely lilting prose that never talks down to it's readers.The eloquence of the two children is starkly contrasted by the supremely fun slang of the the mermaids. "Keep yer noggin' mouf shut, ye great dafty!" or "My gib was atwitch, I might of knowed it.Human childer smell most peculiar, I do declare freely".Between the prose and the world Michelle Lovric has created I was quickly swept away. The premise is simple, Teodora, and Lorenzo (super great names! ), must save Venice from the machinations of the evil Bajamonte Tiepolo (seriously, I need a bunch of cats that I can give some great old Italian names too).Otherwise known as Il Traditore,Bajamonte Tiepolo was banished from Venice for his crimes against Her in 1310, but his ghost is back for revenge and he is building a fierce-some army of pirates, ghosts, vampire eels and a sea monster who can destroy the city of water. 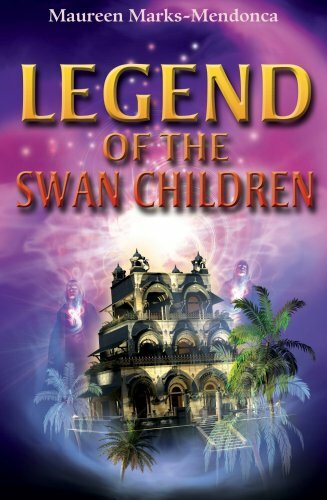 With a great deal of action and adventure, reams of fun characters, (honestly when is the last time you read about mermaids?) 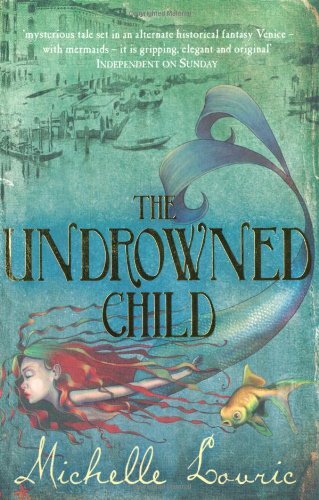 and the fascinating history of Venice itself, it may have been impossible for Michelle Lovric to go astray with The Undrowned Child.She's managed to create a very unique story in the world of children's lit, which, considering the broad range out there, is impressive in and of itself. Obviously a huge lover of Venice (she lives there herself these days), the story also reads as a love letter to Venice.I was already fascinated by Her colourful history and unique setting but I think Michelle will inspire many others in a fascination with the floating city.